I soon learnt more about the flower. On the little prince’s planet the flowers were always very simple. They were small and they didn’t disturb anyone. They appeared in the grass in the morning, and they were peacefully gone by night. But it all changed one day. From a seed brought from nobody knew where, a new flower started to grow. First, the flower was very small. The little prince watched her very closely. The flower wasn’t like any other small flowers on his planet. The flower could be a new kind of baobab. But she soon stopped growing, and she began to prepare for opening. The preparation for this moment took a long time. The flower didn’t want to show her colours immediately. The preparation lasted days and days. Then one morning, exactly at sunrise, the flower showed herself. The little prince realized that she wasn’t too modest, but she was so beautiful. 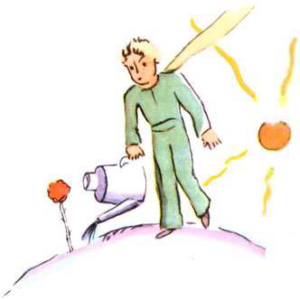 And the little prince, surprised by the whole situation, started to look for a can of fresh water. After finding it, he served the flower. Soon, she began playing with the little prince in a way that wasn’t always pleasant. But she interrupted herself at that point. She came here as a seed. She couldn’t have known anything about other worlds. She was embarrassed because she let herself to be caught at preparing such a naive lie. 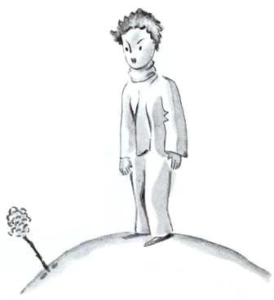 She quickly coughed two or three times, in order to made the little prince feel bad. “The glass? 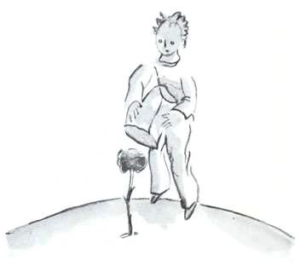 I was just going to look for it but you were speaking to me,” said the little prince. 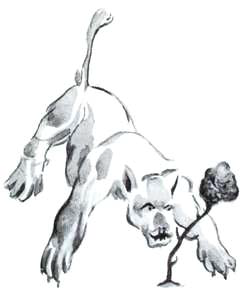 Then the flower started to cough a little more so that the little prince would feel bad again. So the little prince, in spite of all the good will that came from his heart, soon started to mistrust her. He took seriously when somebody used words which were without importance, and it made him very unhappy.